Welcome to Bitcoin community. Are you new to Bitcoin world? Want to buy your first Cryptocurrency? Confused on where to buy your first Bitcoin? Well, you are not alone. I was also at the same stage couple of months back. I started exploring and reading lots of tutorials on how to buy your first Bitcoin simplest way. 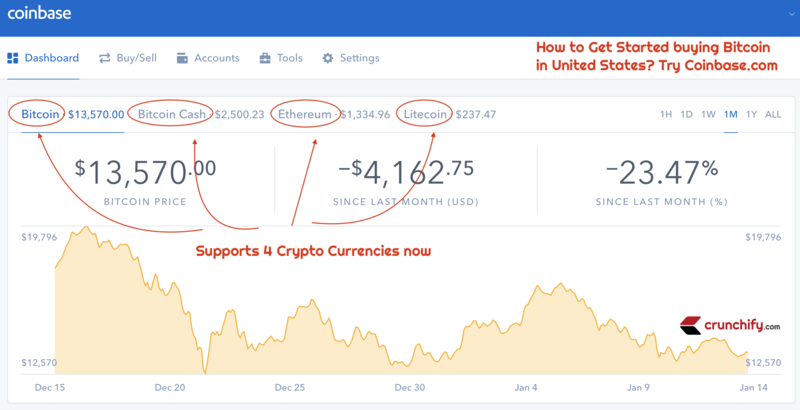 In this tutorial we will go over steps on how to buy your first Bitcoin using Coinbase.com site. Coinbase is a most trusted way to buy Ethereum, Litecoin, Bitcoin and Bitcoin Cash as you could see in above picture. Let’s get started on buying Bitcoin for first time. Click on Sign Up link to get started. Try above link and you and me both will get $10 worth of free Bitcoin. Coinbase has more than 10 Millions+ customers and fully trusted by them. I would suggest not to go anywhere else to buy Bitcoin if you are in USA. Feel free to let me know if you think other site is more useful and charges less on transaction 🙂 I’m more than happy to suggest that to my readers. In my opinion, Coinbase is the best place to buy Bitcoin. Provide your first name, last name, email address, password and state of your residency and create account. Next step is to confirm your email address. Transfer some money let’s say $1000 from your bank account. Weekly limit is $5000. Or use Credit Card (Credit card has limit of only $300/week). In order to make Credit card transfer you have to verify your identify. How to verify Identity in Coinbase? 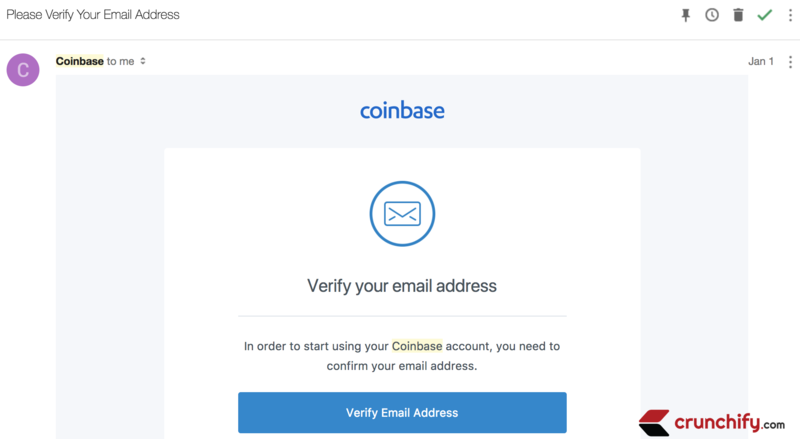 Follow this tutorial to get started on verifying your Identity in Coinbase. Once you verified your identity, Credit Card fund will be available immediately for you to use. If you have used Bank method to transfer money to Coinbase then it may take upto ~7 days to get fund transferred. 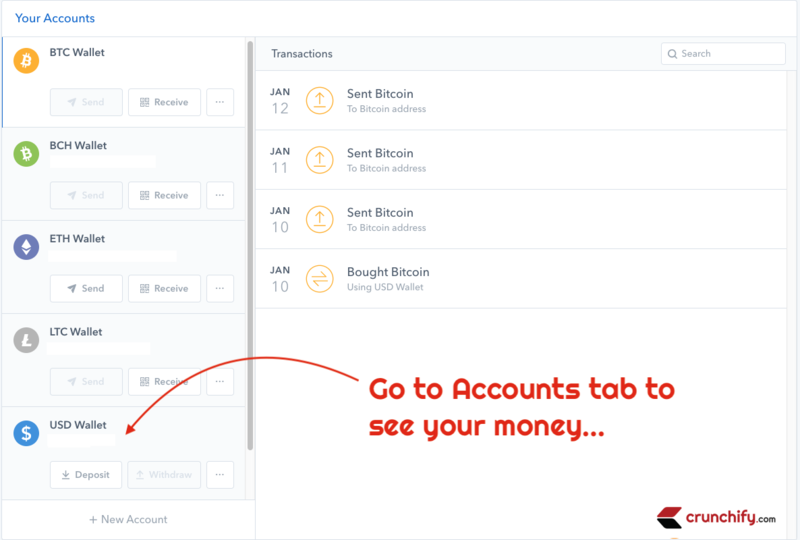 Go to Accounts Tab to see your transferred money under USD Wallet. Now it may take upto ~30 minutes to complete transaction. Congratulations.. You have successfully purchased Bitcoin. Welcome to Cryptocurrency world. Enjoy.